Oh. Sorry about that, I haven't been here in a while, couldn't remember what was okay and what wasn't for a minute there. I guess back to an old standard, I suppose. It was long overdue anyway. Also, gonna leave the signature as-is. I like what I've already got there. 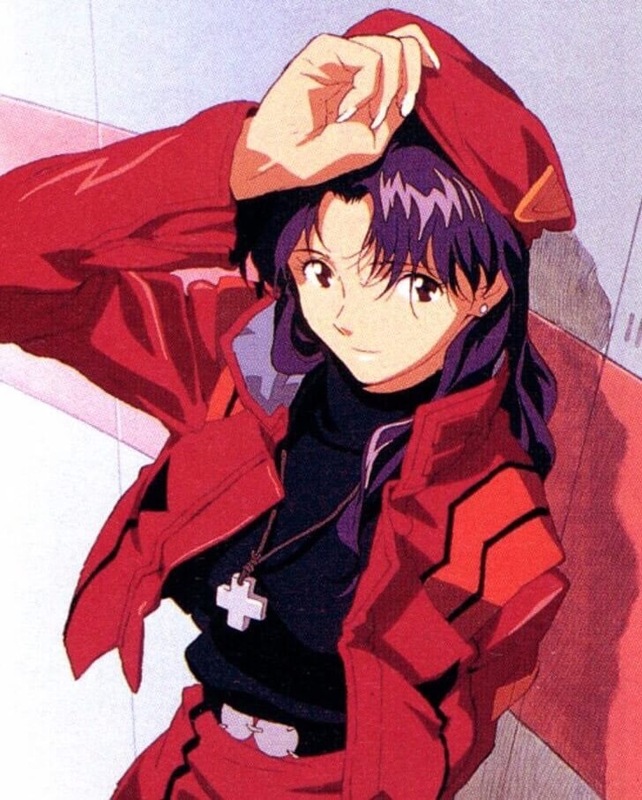 Can't go wrong with Misato in style. Rei has come for your soul. Cool, finally Instrumentality will turn me into orange juice. Squigsquasher wrote: Rei has come for your soul. Better get in line, then. I owe mine to like...five or six different people/deities/omnipotent beings. I'll change the picture 'round again, this time to something more fitting of my recent (and soon-to-be) releases. Why has the acceptability of punching Nazis suddenly become something the internet has to debate about? I thought this was settled back in 1941. Unprovoked assault for political disagreement is not acceptable, and celebrating things like this is just going to make the situation worse. Advocating ethnic cleansing is not acceptable, and a punch in the face is one way we convey that. NemZ wrote: Unprovoked assault for political disagreement is not acceptable. Tell that to the souls of the six million murdered Jews and others killed by the Nazi regime. Someone on another forum wrote: Remember, actual Nazis got punched in 1920s Germany plenty of times. Then came the 1930s. Violence only works if it's disabling, and, without tools like the prison, it's usually only disabling if it's fatal. Is that the horse you want to hitch your wagon to? Sure, violence didn't stop the growth of Nazism; but then by the same token neither did reasoned argument, and in fact it came down to violence on a far larger scale in the end. I fear there is no definitive answer. Keep the political stuff in Serious Discussion. Time to change again. This time, something a little more...less. I think. As to what I mean in the reference to it in my signature: I figure if we can have that dumb Harambe meme last year, I might as well start my own variation on it. Would be neat if it caught on (for obvious reasons)...but, eh, I don't really care either way. I was wondering how long that was going to take. Congratulations! This image is on the inner cover of Groundwork Vol 3 in monochrome, but has recently appeared in colour - see this review by Literary Eagle.